Which content access option is best for you? Unlimited users. Purchase entire library or specific learning paths. Pay per seat, per year. Price decreases with longer terms and with more users. Pricing Unlimited users. Purchase entire library or specific learning paths. Pricing Pay per seat, per year. Price decreases with longer terms and with more users. A collection of tactical training videos. Networking events can be an effective way to find more business. But it’s hard for busy salespeople to sustain that effort. What if you could streamline the follow up? How would that affect your return-on-investment from networking events? In this Quick Take, you will learn why networking events often fail to generate new leads (hint: the event isn’t usually the problem), how to turbocharge your networking efforts by combining the power of LinkedIn and face-to-face events, and how to encourage these partners to go the extra mile for you. It’s no secret that referrals are incredibly valuable prospects that can turn into high-value buyers -- and you should never miss the opportunity to ask your customers for them. But even experienced sales people forget to ask for 'the other' referrals. Who are these 'other referrals' and why are they so valuable? They may not look especially promising. They may not have much budget. They may not even have a need for what you sell. Yet they’re still extraordinarily important. In this Quick Take you will learn the second type of referral you should always ask for, the key question to ask to discover this high-value referral and how to approach this referral in a way that’s almost guaranteed to connect. 'How are we doing?' It sounds like a win-win sales question, right? If the customer says you’re doing great, you can give yourself a pat on the back. If not, you can find out what’s wrong so you can fix it. But asking 'How are we doing?' can backfire and undermine the relationship you seek to build. In this Quick Take, you’ll learn: Why you shouldn’t ask your customers to judge your performance. Why asking for feedback in the wrong way can damage your relationship with your customer and cost you sales. Three ideas to help get the feedback you need – and build customer satisfaction. Every sales person eventually deals with customers who have unrealistic expectations. They underestimate the amount of work required to complete the job, the internal resources they’ll need to support the project, and the time required to get it done. You’re eager to close the deal so you’re reluctant to challenge them too much in the early goings. But having misaligned expectations is a recipe for disaster. This Quick Take will give an approach that can help. You’ll learn how to effectively manage buyers’ expectations, have a tough talk without scaring them off, and get the commitment you need to be successful. Sooner or later, every salesperson faces angry customers. Maybe it was something you did. Maybe somebody else in your organization dropped the ball. Maybe the customer is just being unreasonable. Whatever the reason, you’re the one who has to take the heat. 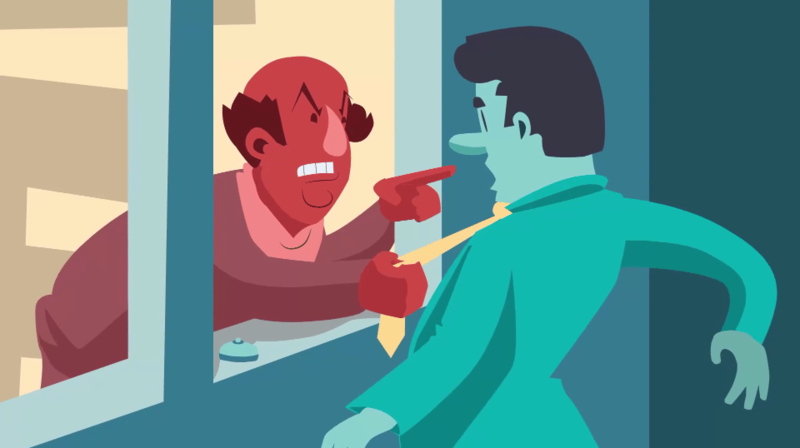 In this Quick Take you will learn the one thing an angry customer wants to hear, why even experienced reps often respond the wrong way to their customers’ anger, and the three R’s that can turn an angry encounter into an opportunity to earn your customer’s loyalty. In this Quick Take you will learn the difference between a high price and a fair price, how buyers determine whether a price is fair, and four guidelines you can use when presenting price hikes. Customers are like icebergs. You only see about 5 percent of what they’re really thinking. Maybe they think you’ll take advantage of them if they’re too open. Maybe they’re talking to other vendors and don’t want you to know about it. Maybe they just want to avoid confrontation. Whatever the reasons, these hidden objections can sink an account. In this Quick Take, you’ll learn how to identify 'conversational icebergs' -- seemingly minor remarks from customers that could signal a coming disaster, three reasons why you might not see the danger and a simple technique to uncover account problems even when there’s no sign of trouble. It’s easy to overlook an open door. You work hard to manage your accounts and deliver good service. But caught up in the day-to-day details, you might stop noticing all the ways a competitor can break into your business. A competitor can get to your customer in countless ways. And you can’t prevent them all. But you can make it harder for the competition. There are four critical Open Doors in sales – points of entry that are most likely to leave accounts vulnerable. In this Quick Take we will explain how to make sure those doors are locked tight. Customers sometimes send signals that they’re no longer interested in doing business with you. They stop returning your calls, they cut their spending, and generally seem indifferent about your products and services. It’s human nature to think, 'I see the handwriting on the wall; I’d be better off using my time to find another buyer.' But if you react this way, you risk turning good buyers into walking-dead accounts. In this Quick Take, you’ll learn the results of a Wharton study that reveals which customers are most – and least – likely to leave, a common but deadly mistake that leads salespeople to disengage from buyers and a simple mantra that will ensure you never lose a customer through disengagement. You must keep your customers satisfied to keep them around. But satisfaction doesn’t give you a competitive advantage. Buyers expect it from every supplier. And given a chance, hungry competitors will do everything they can to appear more responsive and helpful than you. In this Quick Take, you will learn why customer satisfaction isn’t the most important factor in keeping customers loyal, the other driver of customer retention – switching costs, and how to create 'entangled relationships' to lock in customer loyalty. Every sales manager faces periods when results just aren't what you need them to be. A big customer leaves. Your market hits a slump. A new competitor shows up. Suddenly you’re scrambling to make your numbers. And if you don’t make the right moves, you could find yourself making a bad situation worse. In this Quick Take you will learn why increased sales activity isn't always a good thing, the impact of increased activity on the size and profitability of sales, and metrics that will help your reps stay focused on their best opportunities in good times and bad. 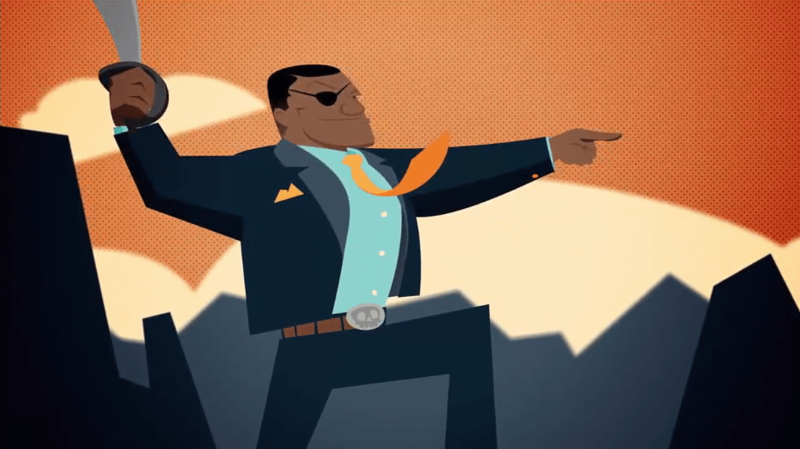 What does it take to be a credible sales leader? Is it charisma? Raw intelligence? Some intangible trait that some people are born with and others are not? The fact is, credibility often boils down to one key factor. In this program you’ll discover what that is and learn: Why 'leadership skill' is NOT what gets people promoted into management, the number one source of credibility for sales leaders, the key to increasing, and sustaining, your credibility as a leader and just how fragile credibility can be. Experts tell us that we should deliver praise to our employees as often as possible. Recognition is one of the most powerful tools available to improve productivity, moral and loyalty. But giving praise isn’t as simply as it seems. Delivering it the wrong way at the wrong time can actually serve to de-motivate workers. In this Quick Take you will learn: 1) Examples of situations where 'praise' isn’t about praising at all, 2) An especially dangerous misuse of praise that could erode your credibility as a manager and, 3) The secret to ensuring that praise delivers the motivational message you intend it to. In every organization you have a few people with really BAD attitudes. The guy who has trouble dealing with authority … the woman who shows up late all the time … or the average performers who put in minimal effort but continually complain about their mediocre pay and lack of advancement. You could just terminate these employees. But let’s assume they’ve got skills you need and you decide they’re worth saving. This training module will show how to confront 'bad-attitude' employees the right way, and maximize the odds that they’ll change themselves and become better team players. Salespeople have at least one thing in common with pro baseball players. Slumps. All major leaguers – even .300 hitters – go through extended periods where they can’t get a hit. Pressure builds. Confidence erodes. As a sales manager, your job is to coach reps out of their slumps. But the problem is deeply psychological and you’re no psychologist. So how do you do it? 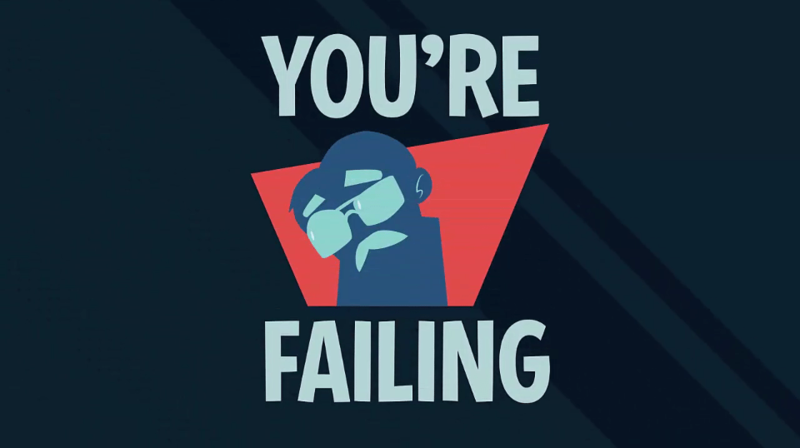 In this Quick Take, you will learn why failing reps literally talk themselves into failing, how managers can use the theory of “explanatory styles” to turn failure into success and the L.E.A.D. Model for helping reps bust out of a slump. Reflect back on some exit interviews you’ve conducted. When the person walked out of the room, were you ever thinking: I still don’t have a clue why the person REALLY left and that was a complete waste of time. Clearly, that’s not your goal. You’d like your exit interviews to reveal useful information you can use to improve your company and your retention rates. In this Quick Take, you’ll learn: The one type of employee that will give you the most useful info. The #1 obstacle to getting meaningful input. And, a simple questioning technique that will transform the way you conduct exit interviews and get far superior results. It’s inevitable: For most companies, more and more business will be coming from online leads. And yet many companies are struggling to make these leads pay. The question is, what can you do as a sales leader to maximize the value of this increasingly important lead source? In this Quick Take, you will learn the results of a study that show why online leads are so different from other leads, three techniques for managing online leads that can vastly increase their value, the 'Taco Stand' rule – a key concept that will help your sales force connect with more online leads and how to align your sales force to succeed with online leads. Most managers hate discussing salary with employees because money is such an emotional topic. When the manager and the employee have different ideas about what’s “fair”, salary review meetings can quickly go south. Fortunately, there’s a way to talk about money without the drama, tension or destructive emotions. The secrets to mastering salary discussions are covered in this program. The #1 job of the human brain is to predict what will happen, so that we can be prepared. But managers can unintentionally create a work environment where unpredictability reigns. When that happens, employees feel stressed, anxious and demotivated. 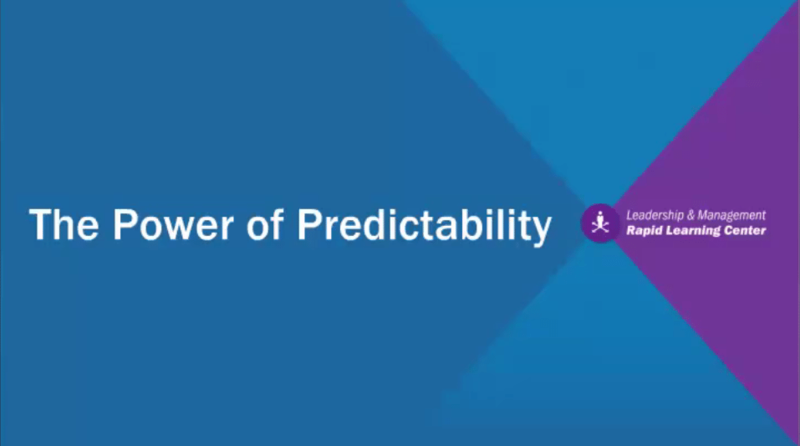 In this Quick Take you will learn how the brain creates 'predictive models' that are designed to tell us what’s going to happen, why we feel good when our predictions are right – and bad when they’re wrong and how you can use the principle of predictability to create a more productive and positive work environment for your people. Sales contests can be a great way to motivate your sales team. But when you considered all of the effort and cost, are contests really worth it? Maybe. Maybe not. The only way to tell is to conduct a proper ROI analysis. And that's where so many sales managers fall short. In this Quick Take you will learn: Why the most common metric for sales contests often underestimates true ROI, the importance of 'The Triangle' that can make or break a contest’s effectiveness, and the best way to accurately measure a contest’s success or failure. Leadership credibility takes a long time to build but can be destroyed in seconds. The question is, how and why does it happen? What should sales managers do – and never do – to maintain a strong reputation as a trustworthy, reliable leader? In this Quick Take, you will learn: One of the most common, and most preventable, mistakes sales leaders make that destroys their hard-earned credibility, what we mean by the Fallibility Paradox – and why it’s the key to maintaining credibility over the long-term, and what caused one leadership success story to end in abject failure. In this Quick Take you will learn the truth about the 80-20 rule in sales – and what it means for sales managers, where you’re most likely to get big performance increases from your salespeople and how to structure incentives to get the biggest bang for your buck. Some managers limit themselves to a single management style because they’re comfortable with it and because it worked in the past. But relying on just one style can limit your ability to get things done through people. In this Quick Take you’ll learn that great managers master a repertoire of six managerial styles, and know how to deploy the RIGHT style depending on the situation. You’ll also understand why mastering these styles is the key to earning top management respect, achieving results, and – no small thing – getting the promotions that one-trick ponies only dream about. So you just got promoted. You probably got singled out for management because you were a strong performer, a producer who achieved excellent results. Now you’re in charge of a team, and your job is to get OTHER people to be strong performers. But that’s easier said than done. It’s so difficult, in fact, that most people want nothing to do with it. Of those who take the challenge, many underestimate the complexities of management, and fail. In this Quick Take you will learn the steps you must take to get started in the right direction. Lead Follow-Up: How Much Is Enough? Following up on leads can pose a real dilemma for salespeople. On the one hand, you want to be sure you exhaust every opportunity to convert those prospects into new business. On the other, you don’t want to waste valuable time chasing leads who have no real intention of buying. In this Quick Take, you will learn what a massive research study reveals about how much follow-up it takes to find real buyers, the follow-up 'sweet spot' – the number of calls that yielded the best return on time and effort for most salespeople, how much effort salespeople really devote to follow-up, versus how much effort they think they put in, and how to create an optimal follow-up strategy for your sales team. Every experienced manager knows the feeling. A valued employee walks into your office and says, 'I found a new job. I’m leaving.' You’re stung. You feel betrayed. And you’re asking yourself, 'Did I do something wrong?' The bad news: You probably did. The good news: In this Quick Take you’ll learn how to keep your good employees on board, energized and loyal. The cost of a bad sales hire is huge. Most obvious are the hard losses – the ads, the interviews, the training, the lost sales, etc. Not so obvious is the damage you do to your credibility as a leader when you repeatedly make hiring mistakes. This Quick Take will show you how to 'smoke out' the impostors who look good on paper and know how to interview, but won’t get the job done. You’ll learn the most dangerous attitude a sales manager can bring to an interview with a job candidate, the preparation oversight that gives Impostors an opening and how to ask questions that will expose Impostors every time. This Quick Take will show you the number one reason why star sales managers get extraordinary results from their sales reps. If you often feel that you’re constantly drilling your reps on time-tested selling techniques, but that your message just isn’t sinking in, the reason is that you’re not following the simple practice outlined in this program. Less than seven minutes from now, you’ll know the secret, and it will transform the way you train your sales force. 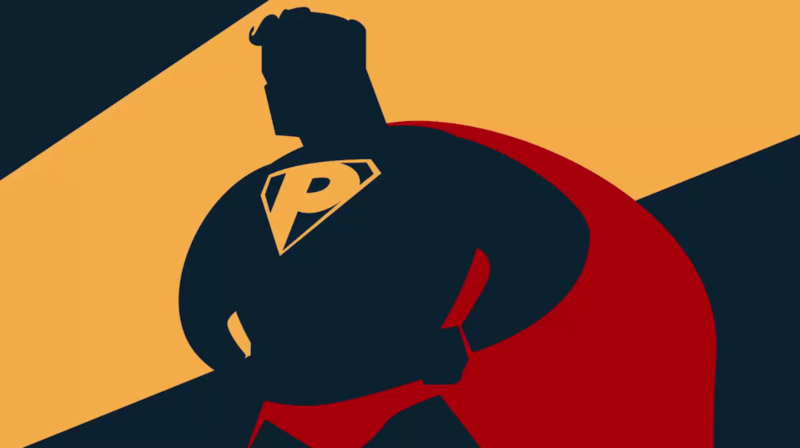 Every sales team has its superstars. They are often the most valuable members of your team – and often times they know it. You love the results they deliver but their 'prima donna' attitude can be a serious disruption to everyone around them. Fortunately there is a way to keep them in check. In this Quick take you will learn a common response to a disruptive star performer – which fails miserably every time, an often-overlooked fact about stars that gives you far more power than you might think, and the S.T.O.P. Model for getting disruptive tigers to change bad behavior without driving them away – or turning them into pussycats. Too many managers and supervisors fail to deliver “performance talks” to their workers as often or as effectively as they should. Why? They either see such talks as low priority or they avoid them because giving performance feedback can be uncomfortable. The good news is, managers and supervisors can develop the skills and confidence needed to deliver on-target performance talks that get results. This training program will show them how to get it done. It’s always a challenge to strike just the right balance in your sales compensation plan. You want to attract top performers – but there’s only so much money to go around. So how do you spend it wisely? How do you know whether you’re paying reps too much, too little, or just enough? In this Quick Take, you’ll learn: A technique to optimize your commission structure to get the results you need, how to head off the greatest pitfall of changing your comp plan, and the key trap that promotes mediocre sales results. In this Quick Take, you will learn why it’s so hard for experts to explain what they do to non-experts, why it’s better to focus on teaching behaviors rather than knowledge or insights, and a new way to use role plays in sales training – and why it works better than the way you’re probably using now. Setting goals is easy. Achieving them is a lot harder. But there's a simple technique that can vastly improve your odds of hitting them. 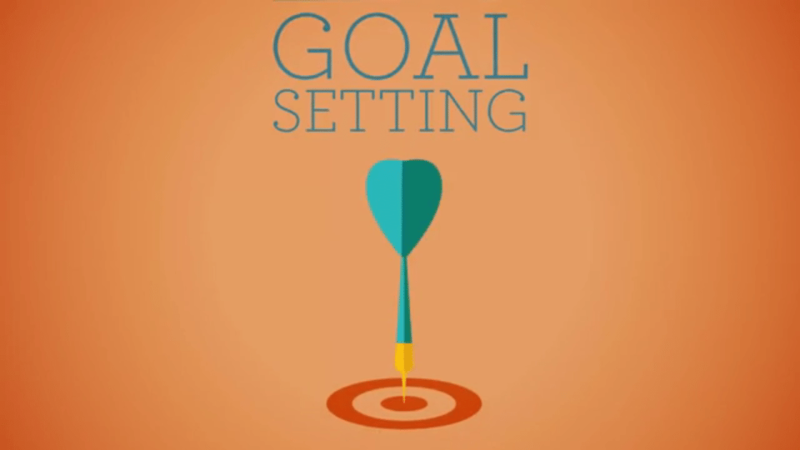 In this Quick Take you will learn why strong enthusiasm for achieving clearly defined goals isn't enough, the difference between 'goal intentions' and 'implementation intentions' and the results of a research study that show how to vastly increase goal achievement. There's no question that you need to pay attention to your sales pipeline. If you're not feeding it on the front end, your sales will dry up on the back end. So t's reasonable to think that the more prospects you put in, the more sales you'll have coming out, right? In this Quick Take, you will learn, why more leads in the front of your pipeline can result in fewer sales on the back end, the one thing you can do to ensure that your sales pipeline is healthy, and why the questions you ask on the front end of the sales process can have a huge impact on how many sales you get on the back end. So many prospects, so little time. For most salespeople, the biggest challenge in prospecting is finding ways to spend more time in front of qualified prospects and less time hunting them down. In this Quick Take you will learn a prospecting technique that helps you quickly generate warm leads that are more likely to lead to a sale - even when you don't know a soul in the organization you're targeting. You'll learn who to start with, what to say (hint, it isn't about your product and service), and why it's a good thing that most of the people you reach out to will ignore you. In prospecting, the first and biggest challenge that every salesperson faces is getting people to pay attention. Prospects seem to have a bulletproof armor that deflects even the most compelling sales propositions. In this Quick Take, you will learn the concept of 'buying schema' - a key reason why prospects tune out your message, when it's a good idea not to meet buyers' expectations and how to get buyers to really listen to what you're saying. Why is it that two sales people dedicating the same amount of time and energy to prospecting can generate completely different results? Is one rep just better? Maybe, but not always. The rep that’s producing better numbers may just know how to use his “Golden Hours.” In this Quick Take, you’ll learn what Golden Hours are – and how they can help you sell more in less time, how to create a “time optimization plan” that will help you manage your selling time more effectively, and how to overcome the critical obstacle that keeps reps from maximizing their Golden Hours. The most successful salespeople are way too busy to waste time with non-buyers. That’s why when cold-calling they carefully think through a script designed to tell them as quickly as possible how likely a prospect is to become a customer. In this program you’ll learn “The Magic Question” that will allow you to quickly place prospects into one of four categories, and help you focus your precious time and energy on those most likely to buy. Your increased efficiency will transform your sales results. You’ve probably heard the statistics: More than 80% of sales are made after the fifth attempt. And yet 90% of salespeople never get that far. When they hear a no, they simply give up. In this Quick Take, you will learn: A four-step approach to second-effort selling that isn’t offensive or pushy, why you shouldn’t take a buyer’s first refusal at face value, why it’s always worth your time to try again, and the one thing you should never say during a second effort – even though you’ll want to. The toughest buyer to reach is usually the one at the top – the CEO or other C-level buyer. In this Quick Take, you’ll learn the Down-Side-Up approach that can get you that meeting with the C-level buyer – even when your front-line buyer seems to be blocking the way. You’ll also learn how this approach can open up new sales opportunities throughout the organization, and what to say in the meeting that will make the C-level exec sit up and listen. Some salespeople seem to fish in better waters. Whether they're prospecting for new business or trying to grow their existing accounts, they manage to uncover more sales opportunities. Sometimes even their buyers are surprised by what they discover. They seem to have a knack for identifying problems and challenges buyers didn’t even know they had. So what do these salespeople do differently? 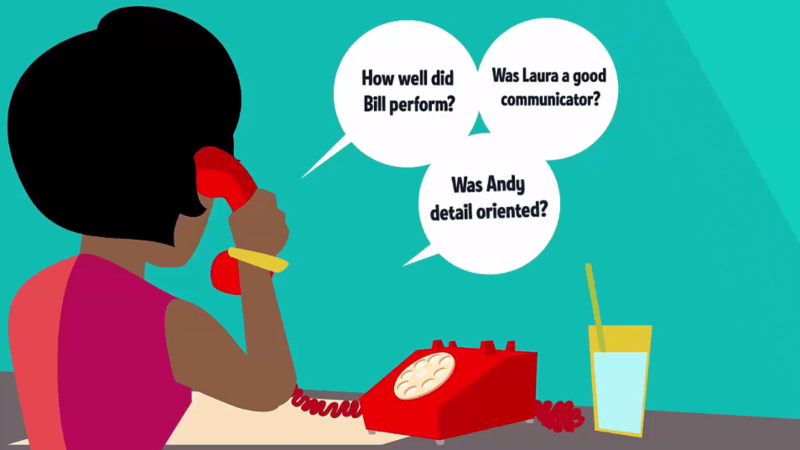 In this Quick Take, you will learn why asking only about customer’s “needs” may lead you to overlook sales opportunities, the three levels of change that drive sales – and which one is likely to yield the best sales opportunities for you, how to conduct a sales discovery conversation that can help you identify WHERE and WHEN these opportunities are likely to arise. It would be nice if you could just pick up the phone or drop by an office and reach key decision makers at prospect companies. But that’s not the way it goes. More often than not, you find yourself dealing with a gatekeeper … someone who is very protective of the boss’s time and trained to screen out unwanted sales calls. Every once in a while you can use your charm to navigate your way past gatekeepers, but when faced with a real professional, friendly chit-chat and small talk won’t get you anywhere. This Quick Take will give you the insights you need to work through the most tenacious gatekeepers. You’ll learn the #1 mistake most sales people make when faced with gatekeepers, the one skill gatekeepers take the greatest pride in and the thing that gatekeepers fear most – and how to use it to your advantage. How can you dig deeper and find out what’s really important to your customer? How can you identify problems that buyers themselves may not even be aware of? How can you find the one critical need that your competitors overlook? In this Quick Take, you’ll learn the Five Whys Technique -- a simple yet powerful tool that helps you conduct more effective discovery and find the buyer’s pain. Experience is a great asset in sales. But it can also be a liability. Seasoned sales people can get so comfortable with what they do, they fall into the trap of making assumptions about the customer’s needs. In this Quick Take, you will learn: The secret behind 'beginner’s luck,' what inexperienced sales reps do that experienced reps sometimes overlook, how to separate “stupid questions” that should be avoided from ones that can enhance your credibility, and the smartest stupid question of all. You have just completed your pitch to a potential customer. They’ve given you their feedback, but their words could be interpreted many ways. They say things like, 'very interesting' and 'that's definitely worth thinking about.' Is the customer on the verge of giving you their business, or are they just stalling until they find an excuse to deny the sale? In this Quick Take you will learn the #1 reason miscommunication occurs between buyers and sellers, the most important thing every buyer wants from a sales conversation, and the FACE Method – a simple approach you can use to gain clarity with your buyers. Many salespeople are like doctors. They’re good at finding the customer’s pain and making it go away. But not every prospect has pain. They may not be 100% happy, but they don’t feel any urgency to change. So how do you sell to prospects who are feeling no pain? In this Quick take, you’ll learn why trying to find the PAIN for a prospect could mean a PROBLEM for you, an alternative to problem-based selling that gives you a way to connect with more prospects, and GAPS - a conversational road map that can lead to unexpected opportunities. Many salespeople face the same problem: a buyer who’s holding back – and isn’t willing to tell the salesperson why. In this Quick Take, you will learn the most common and powerful reason buyers hold back critical information, what buyers are risking when they reveal their true motivations, and a 4-step 'conversational roadmap' that can get help you get buyers to be straight with you. Here’s a true story of two sales teams. Both sold the same product. Both called on the same kinds of customers. Both had gone through the same product training. In nearly every respect but one, the teams were identical. Yet one team was getting 30% more price objections than the other. Why? In this Quick Take, you will learn the one thing salespeople do that almost always increases price resistance, why well-intended efforts to 'add value' often backfire, and the right way – and wrong way – to talk to buyers about features and benefits. Some buyers are dissatisfied with the status quo, see an opportunity to improve on it, and want to act right now. Others are less committed. Sure, they’re interested. But they’re not convinced that they need to make a change, much less choose your solution. As salespeople our instinct is to persuade them. To give them hard facts about how our product or service has helped others. To show them what they’re risking if they don’t buy. Or to paint a vivid picture of how they’ll benefit from what we offer. But is that the best approach? Maybe not. In this Quick Take, you will learn two techniques that can help prospects persuade themselves to buy from you, why these techniques have such psychological power, and how to deploy them in real sales situations. Most salespeople have been exposed to the idea of anchoring: The first number put on the table in a negotiation 'anchors' the negotiations around that price. So if you lead with a high price, the final deal will be larger. If you allow your buyer to lead with a lowball offer, the deal will be smaller. But why does this work? In this Quick Take, you will learn why anchoring is more complex than it seems – and why it isn’t about setting expectations, why it isn’t limited to price negotiations, and how to frame proposals in a ways that helps buyers arrive at a favorable decision. If you sell a product like home security systems or insurance, fear of loss is obviously a powerful incentive to buy. What’s less obvious is that the fear of losing something -- termed 'loss aversion' by psychologists – can play a key role in just about any sale. In this Quick Take, you will learn the powerful conclusion of a study on loss aversion, the dramatic differences in the ways that people calculate potential benefit versus potential loss and how to add power to your value proposition by reframing it around loss aversion. In this Quick Take, you will learn the two factors that determine trust early in relationships, how quickly buyers make decisions about trustworthiness, based on verbal cues that salespeople often trigger unconsciously and the four categories of verbal cues – and how deploying them successfully will make people perceive you as more trustworthy. Imagine for a moment that you’re explaining to a buyer why your product is the perfect solution for her needs. You tell her that your product is extremely reliable, it’s easy to use, plus it will free up a lot of her time, and it costs 20% less than the competition. Those are compelling benefits. The prospect needs them all. But research says you just caused your buyer to lose faith in you and your product. In this Quick Take you will learn why “benefits overload” can drive a wedge between you and your prospect, one thing you can do to make sure your messages stay positive and persuasive, and why presenting more than three features or benefits at a time can undermine your sales message. A recent research project analyzed millions of recorded sales conversations, using interactive voice recognition and software that can figure out the meaning behind those words. The researchers were trying to discover what kinds of sales conversations resulted in successful outcomes for the call. Are there certain words or phrases, for example, that made buyers more likely to say yes? 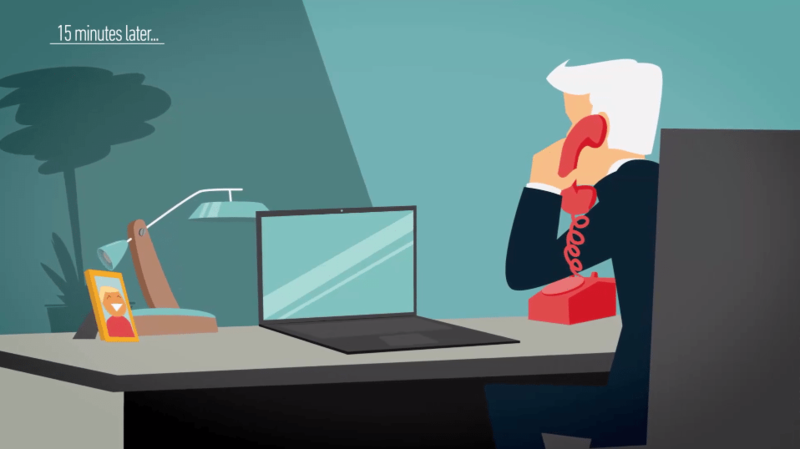 In this Quick Take, you will learn the results of this analysis, including the critical elements of a sales conversation that are most likely to result in a conversion, the dramatic difference in results between calls that include this language and those that don’t, and how to apply these findings to make your sales calls more effective. Have you ever created what you thought was a bulletproof value proposition for a customer – only to lose the sale? You dig deep to understand the customer’s needs and wants. Your proposal covers all the bases. And yet you walk away empty-handed. It’s happened to us all, and there’s a reason: We misread the prospect’s 'resonating focus.' In this Quick Take, you will learn the counterintuitive concept of Resonating Focus – a way to increase value to your customer by subtracting benefits, how to use Resonating Focus to create value propositions for your customers, and how to focus your discovery process on what really matters most. There are lots of times when customers are dead wrong. If it doesn’t affect your sale, of course, you can decide whether to set them straight or not. But sometimes you have no choice. If a customer’s ignorance interferes with your ability to sell, how do you enlighten them? In this QT you will learn the best way to communicate hard truths to buyers, how to present evidence in a way that’s less likely to lead to a debate, and why we communicate better when we speak in the brain’s 'native language'. Every salesperson can think of a time when a sales presentation went terribly, horribly wrong. In this program you’ll meet three sales people who find themselves on the brink of presentation disaster. You’ll see how they got there, how they could have avoided it, and how they can still turn things around and win the sale. You’ll also learn a different approach that gets buyers engaged and moves them toward a buying decision. It’s tempting to barrage prospects with a detailed list of every wonderful feature and benefit your product delivers. Fact is, however, this approach can quickly kill your chances of making the sale. In this Quick Take you’ll learn how to avoid this common trap and find out what we mean by 'sell a tree, not the forest.' You’ll also discover the four rules of selling more by selling less and a key mistake that can undermine a high-potential sale. Having a strong belief in the product or service you sell can win you a lot of customers. Buyers are more likely to trust you and move forward with confidence when they see that you’re knowledgeable and enthusiastic. But beware. Being too charged up about what you sell can lead to sales myopia … and it could cost you a lot of business. What is sales myopia? It’s when you get so close to your product, service or sale that you can’t see anything else, including an understanding of what the customer truly needs. In this Quick Take, you’ll learn the critical selling error that causes short-sighted salespeople to lose accounts, three key questions that can help you avoid sales myopia and how to win more sales by looking at your product or service from your customer’s point of view. Presenting to CEOs is a challenge for even experienced sales professionals. CEOs speak a different language, think about business in a unique way and have very little time to deal with sales people who don’t instantly grab their attention. This Quick Take will uncover the secrets to winning the confidence of CEOs. You’ll learn what makes them tick, how to avoid the biggest mistakes that make them tune you out and techniques to earn their endorsement … and the sale. It’s hard to sell against the status quo. You can’t do it simply by offering something better. In fact, a study published in Harvard Business Review found that buyers are likely to stick with the status quo even when it’s clearly NOT the best option. In this Quick Take you will learn what makes the status quo option so hard to overcome, why traditional approaches to motivate buyers to change can backfire, and how you can help stuck buyers get unstuck. What does it really mean when a prospect says, 'Let me think about it and I’ll get back to you' or 'I like what I’ve seen … but I’ve got to talk it over with my boss'? Inexperienced sellers think, 'Oh great, he’s interested.' Experienced salespeople instantly recognize that the sale has ground to a halt. The prospect is stalling and if they don’t quickly figure out why, the sale will be lost. In this Quick Take, you’ll learn a proven technique that will reveal why your sales get stalled, and help you get them back on track. Customers are seldom afraid to tell you your price is too high, even when they don’t really mean it. But even experienced salespeople are often reluctant to say, 'No, it’s not. My price is fair and here’s why.' This Quick Take will provide valuable insights that will give you the confidence to hold firm on price and win more business. You’ll learn four secrets that buyers will never reveal to you, the ONE factor in any sales negotiation that lowers the importance of price, and the ONE quality that distinguishes good price negotiators from bad ones. We’ve all faced prospects who tell us, 'I’m happy with my current vendor.' But are they really happy or are they just reluctant to hear your pitch because they believe changing vendors will be a hassle? In many cases, entrenched competitors have a huge advantage over you for no other reason other than prospect inertia – the desire not to move because moving requires energy. But top sales people don’t let this stop them from getting a foot in the door. They’ve discovered the secret we’ll reveal in this Quick Take program. Too many sales reps fall back on the 'commodity copout' when a sale isn’t going the way they want. They argue, 'Our product is a commodity and we have to lower our price to win the business.' Truth is, your product isn’t a true commodity and the buyer knows it. In this Quick Take, you’ll learn: why salespeople buy into the commodity copout, how the commodity copout sabotages sales, and the best way to differentiate your products and services and get the price you deserve. You’ve addressed every objection, outlasted every competitor and explored every need. Now the moment has arrived. You ask for the sale. Your customer looks nervous, hesitates and finally says, 'I need some more time to think about it.' Sound familiar? This is called Purchase Anxiety and it can stop a sale dead in its tracks. In this Quick Take, you will learn: Which questions are likely to INCREASE your buyer’s anxiety; the number-one pitfall to avoid when facing a buyer with purchase anxiety; and the four rules that will help you defuse purchase anxiety. You've just finished making your pitch and the prospect serves up an objection. Your gut reaction is to respond with a counter argument. Stop right there. That instinct might cost you the sale. Fortunately, there is a way to respond in a way that turns the objection into an objective you and your customer can work on together -- and potentially net you a sale in the process. In this Quick Take, you will learn a simple technique that can help you deal with the toughest objections without being offensive, pushy or argumentative. Everyone understands the value of a promise made, and a promise kept. But research suggests that it’s not the size of promises but their frequency that matters most, and that making and keeping many small promises can do more to build your relationship than the occasional grand gesture. In this Quick Take, you will learn what people feel when someone makes a promise to them and keeps it, how the concept of the “fairness premium” can help you improve your relationship with the buyer, and why the best strategy is to make lots of small promises that are easy to keep. Salespeople often feel like they’re beat up by buyers. Buyers who cancel meetings repeatedly for no good reason. Or make extravagant demands. Or fight over every last dime. It’s easy to assume that uncooperative buyers like these are bad people. But most of the time, they’re not. Rather, research suggests that when buyers engage in this sort of behavior, they’re doing it for a specific reason – one they may not even realize themselves. In this Quick Take, you will learn the 'secret message' behind uncooperative buyer behaviors, how you can help buyers feel empowered without abdicating your role in the sale and the absolute worst thing you could possibly do with an uncooperative buyer. In this Quick Take, you will learn a counterintuitive approach that can help you connect with buyers who keep their distance, the psychological principle that makes this approach work, and what this counterintuitive truth reveals about how we make personal connections. For most people, success at work depends on how well they work with others within the organization. But salespeople are different. Their focus is outside the organization. So it’s easy to conclude that time spent in the office is wasted. But research says that salespeople who build strong relationships inside their organizations serve their buyers better, and win more and larger sales. In this Quick Take, you will learn the power of 'internal networks' – your relationships within your organization – and how they help you win sales, why these networks help you deliver more value to your customers and the two kinds of internal networks you need to cultivate. Every salesperson knows that customer relationships are built on trust. But there’s a little-known element of trust that many salespeople overlook. In this Quick Take, you will learn the true basis of trust, results from a scientific study that reveal a simple step you can take right now to gain more loyalty from your customers and why salespeople often fail to take that step. In sales, relationships are everything. People only buy from those they trust. But is good chemistry something that just happens, or can salespeople do something to cultivate deep and meaningful relationships with their customers. In this module, you’ll learn a concept called Relational GPS – a simple tool that can help you connect with your buyers, earn their trust and win their business. Relational Capital is the intangible assets you build up with a client by developing, maintaining and nurturing your relationships. Over time, if you add to those assets your Relational Capital will grow. But if you take out more than you put in, it will decline. In this Quick Take, you will learn why Relational Capital is the most critical asset in your business; how to track Relational Capital over time; and the biggest mistake that people make about their relationships with customers. As the world grows more complex, buyers want sellers who do more than educate them on their products or services. They’re looking for someone who can lead them through uncharted waters. They’re looking for someone who knows the way – and that they can trust. As an expert on what you sell, you probably have the knowledge. But when it comes to the trust part, you face a tough hurdle: Buyers know that you’re there to make a sale. They worry that you’ll use your knowledge to serve your interests, not theirs. In this Quick Take, you will learn why it’s important to demonstrate your credibility as early in the relationship as you can, an approach that can help you win your buyer’s trust – starting with your very first meeting, and the one thing that can demolish that credibility in an instant. Sure, there will always be some customers who just want a price, a handshake and a goodbye. But in the vast majority of cases, at the initial meeting, the prospect isn’t looking for solutions! What? Wait a minute. Isn’t that what sales is all about – providing solutions? Yes. But not right away. In this Quick Take, you’ll learn what a prospect REALLY wants from that initial meeting, the BIGGEST mistake you can make during your first meeting with a prospect (and yes, Ike made it), and all about ROC: Rapport, Objectives, Credibility – a process that ensures your first meeting with a client won’t be your last. Course Description: Jerry Jones sells lighting products for an electrical wholesaler. Last year, he won a new account: Awesome Hardware, a small chain of home improvement stores. The buyer, Kate Douglas, liked his product quality, pricing and service. But after the initial excitement, things quickly settled into a routine. Jerry’s making decent sales to Awesome. He calls Kate once a month. Everything’s going okay. But in Jerry’s highly competitive market, 'okay' means vulnerable. Jerry knows he must take this relationship to the next level. In this Quick Take, you will learn an approach to selling that will deliver more value to your buyers and position you as a go-to resource. It’s based on finding and delivering Critical Insights – new perspectives and ideas that challenge your customers’ thinking … in a good way. We’ve all experienced dead-end conversations. We’ve also experienced Deep Conversations – encounters that create a sense of connection with someone, where we walk away feeling, 'Wow. We really understand each other.' Those are the conversations you want to have with buyers. Deep Conversations can help you understand what motivates buyers and prospects, so you can better serve their needs. They can help you establish trust. And they can help you move beyond the role of vendor and forge deeper relationships. In this Quick Take, you will learn how to lead Deep Conversations – exchanges that get buyers, prospects and others to trust you and reveal what really matters to them. When prospects buy in to your sales proposals – when they start using language like 'mine' and 'ours' instead of 'you' and 'yours' – you know you’re well on your way to winning the sale. But how do you get buyers there? What makes them take psychological ownership of the solutions you recommend? 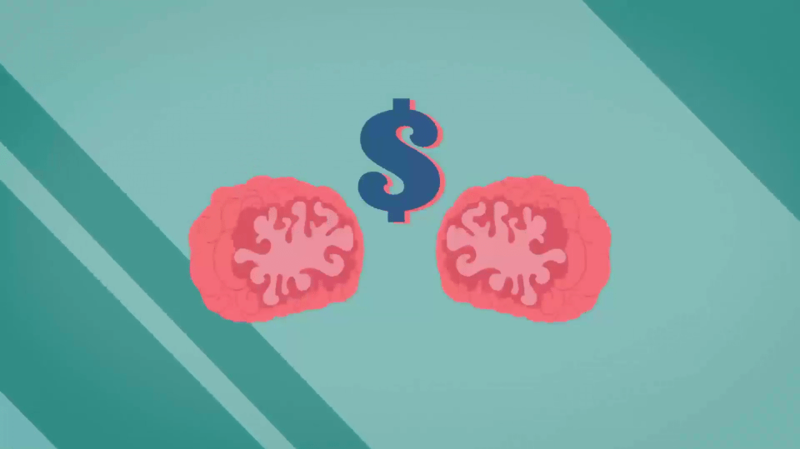 In this Quick Take, you will learn the power of psychological ownership, and its effect on perceived value and loyalty, the critical element that creates a sense of ownership, and how to incorporate that element into your sales process. Sometimes, prospects who should be saying yes … just can’t. They have authority, need, urgency and money. They tell you that your proposal offers good value… but they just can’t pull the trigger. It’s almost as if the act of buying causes them physical pain. So is there a way to get buyers like these unstuck? In this Quick Take, you will learn why some buyers are so reluctant to say yes – and why this reluctance doesn’t necessarily mean there’s a problem with your value proposition, which customers and prospects are most likely to have trouble pulling the trigger and two simple techniques you can use to help get them unstuck. In this Quick Take, you will learn how to change the odds in your favor when you’re facing a buyer who thinks they know what they want. Specifically, you will learn how talking about 'unconsidered needs' can position you as a safer and better choice, the best time to bring them up in your sales presentation or proposal, and how to identify ‘unconsidered needs’ that will resonate with your buyers. What is a consumption vision? It’s a mental picture that buyers construct, in which they imagine themselves 'consuming' – that is, using -- your product or service. Studies show that these visions can have a powerful influence over intentions. In this Quick Take, you will learn why they’re so powerful and how to help buyers construct them. In a world full of good products, good companies and talented salespeople, it can be tough for buyers to make up their minds. In this Quick Take, you will learn what research says about how buyers make a decision when there’s no clear first choice, why price concessions won’t usually break a tie – and why your buyer probably isn’t looking for one anyway and how to create a “justifier” that will allow buyers to explain why they should choose you. Salespeople are often taught to provide a reason when they ask a customer for something – to agree to a meeting, to provide a referral, or to buy a product. That advice is rooted in a well-known research which found that people are more likely to agree to a request if it’s accompanied by a reason. But a deeper drive into the study results tells another story. In this Quick Take you will learn why this widely cited study about negotiations is often misunderstood – and how it can lead salespeople astray, when it makes sense to offer an explanation or justification to a request – and when it doesn’t, and the best thing to say after you put your initial offer on the table. If there’s a phrase that can double the chances of getting a yes when trying to close a sale, isn’t that something you might like to learn? Research suggests there may be such a phrase. In this Quick Take, you will learn a few simple words, applicable to nearly any sales situation, that can help you disarm buyers’ resistance and make them more likely to buy from you, the psychological principle that makes this technique so effective, and how you can apply this idea to your sales approach. In price negotiations, you walk a fine line. On the one hand, you want the deal and you want your buyer to feel good about their purchase. On the other hand, you don’t want to make needless concessions or start haggling. Decisions, decisions. What’s a salesperson to do? In this Quick Take, you will learn why it’s often a mistake to lead with your best offer, why 'good, better, best' offers may leave money on the table, how to give your buyer real choices – without making significant concessions, and why a research-based negotiation strategy called MESOs is good for sellers and buyers. Some sales are straightforward: You know who the decision maker is and how he or she will make the decision. But most sales – especially big sales -- are anything but straightforward. Often there is no 'ultimate decision maker.' You’re facing multiple stakeholders – none of whom have the power to unilaterally say yes – but any of whom could sink the deal. You may not have to get all of them on your side. But to win the sale, you must build consensus within this group. In this Quick Take, you will learn why the person with the biggest title isn’t necessarily the key to the sale, why the person who brought you into the sale may not be able to help you close it, and how to identify the type of stakeholder who will be essential to winning the sale. There are plenty of sales where you shouldn’t let a customer out of your sight long enough to change their mind. But in complex sales nobody expects buyers to make an on-the-spot decision. At some point, buyers are going to go away and think about it. In this Quick take, you’ll learn what buyers REALLY dream about when they 'sleep on it', why you SHOULDN’T focus too much on your product or service during this critical period, and what you DO want to get your buyer thinking about instead. Research shows that buyers make high-stakes decision differently than ordinary purchases. That means salespeople need to approach them differently as well. In this Quick Take you will learn why buyers making high-stakes decisions aren’t necessarily looking for the best product or best price, the single issue that trumps all others in a high-stakes sale, and how to craft a sales presentation or proposal that highlights that single issue. There are lots of good reasons to reduce the sales cycle. The faster you close, the faster you get paid. The more time you have to find more business. But the most important reason is to increase your chances of making the sale. In this Quick Take, you’ll learn the number-one cause of slow sales cycles, a common but critical error that many salespeople make when they’re gathering information from a prospect, and the 'shopping list' concept – a tool that will dramatically shorten your sales cycle. Let’s face it: You can’t force your way into a closed-door meeting if the buyer doesn’t want you there. The harder you push, the more the buyer’s defenses go up. And before you know it, you’ve gone from trusted advisor to obnoxious pushy salesperson. But even if you’re locked out of that meeting, you can still have a powerful influence over what happens during the discussion. And you can do it without stepping out of your role as the buyer’s advisor. In this Quick Take, you will learn how to influence the buying decision – even when you’ve been locked out of the process, and the key question you must ask when the buyer says, 'I’ll have to talk this over with the team'. Many sales professionals fear upselling because they believe it will make them look greedy and might cost them the sale. Fact is, this fear is legitimate – if you don’t handle upselling properly. But top sellers know that upselling is a powerful tool to increase sales volume and add value to the customer. In this presentation you’ll learn: The two most common upselling mistakes, the ideal moment to ask for more and the #1 insight star salespeople 'get' about upselling. Don’t sell past the close. You’ve heard that a million times. Once the customer says yes, just say, 'Thank you very much and let’s get started.' The problem is, some customers still have unfinished business. And if you ignore it, you could find that sale slipping away. In this Quick Take, you will learn how to use the Post Close: a simple yet powerful technique that can help you test your new buyer’s commitment and protect your sales against last-minute surprises. What does it take to be a credible leader? Is it charisma? Raw intelligence? Some intangible trait that some people are born with and others are not? The fact is, credibility often boils down to one key factor. In this program you’ll discover what that is and learn: Why 'leadership skill' is NOT what gets people promoted into management, the number one source of credibility for leaders, the key to increasing, and sustaining, your credibility as a leader and just how fragile credibility can be. Leadership credibility takes a long time to build but can be destroyed in seconds. The question is, how and why does it happen? What should managers do – and never do – to maintain a strong reputation as a trustworthy, reliable leader? In this Quick Take, you will learn: One of the most common, and most preventable, mistakes leaders make that destroys their hard-earned credibility, what we mean by the Fallibility Paradox – and why it’s the key to maintaining credibility over the long-term, and what caused one leadership success story to end in abject failure. The best managers realize that to be a truly effective leader you need to deploy a variety of management styles depending on who you're dealing with and what you're trying to accomplish. They know that a 'one size fits all' approach to leadership simply doesn't work. In this Quick Take you’ll learn: Why 'one-trick-pony' managers have limited value to the organization, that great managers master a repertoire of six management styles and, how to correctly deploy the right style depending on the situation. Scott manages an underperforming team—but not for long. He has a plan to turn things around. First, he observes and interviews his employees. For the low and average performers, which are most of the team, he identifies skills and knowledge gaps. Paul is disorganized. Jill talks excessively and doesn’t listen. And even Kathy, one of his stars, has great technical skills but can’t seem to hit project deadlines. In this Quick Take you will learn what research reveals about the best way to turn around a low-performing team, why efforts to improve deficits can backfire, and where to focus your coaching efforts to get the best results. So what makes some training work and other training fail? Find out what separates training and development programs that succeed from those that don’t, how coaching plays a critical role in workplace learning, and how to conduct effective follow-up sessions with your employees. A 'fixed' mindset is the belief that people’s abilities and talents are relatively static and cannot be improved in any meaningful way. A 'growth' mindset is the belief that innate talents are just a starting point – and that people can improve and grow over time if they work at it. In this Quick Take you will learn what studies reveal about the connection between coaching outcomes and a coach’s mindset about learning, how a change in mindset leads to more effective coaching, and five keys to success in a coaching role. Some people bounce back from mistakes – even big mistakes – with grit and resolve. Others feel crushed, lose confidence and stop doing the things that made them successful. They may even quit their job or change careers – with potentially devastating consequences for both the employee and your organization. In this Quick Take, you will learn what works to help employees recover from failure – and what doesn’t work, how you can encourage people to forgive themselves for failing -- while still holding them accountable, and a three-step model you can apply to help people bounce back. Bill has an employee with a serious performance issue. Bill sincerely wants to help and considers a very direct corrective-feedback approach -- for example, saying something like this: 'I’d be doing you a disservice if I didn’t tell you you’re failing, and that you’re going to lose your job if you don’t improve.' But Bill also wonders whether that message might backfire, demoralizing the employee and making the performance problems worse. So what should Bill do? In this Quick Take you will learn how a coach can frame corrective feedback in a positive way, why that doesn’t mean sugarcoating bad news or pulling your punches, and, why this approach is far more likely to result in behavior change than traditional ways of delivering corrective feedback. How many times have you set a goal for yourself or your team that wasn't achieved? In this Quick Take you will learn why strong enthusiasm for reaching a goal isn't enough, the difference between 'goal intentions' and 'implementation intentions' and a simple research-proven technique that vastly increases goal achievement. It’s great to give positive feedback to employees. In fact, managers don’t give enough of it. But in some instances, what employees need most is not praise but a very candid description of a deficit that’s hurting both the company and the employee. In this Quick Take you will learn the C.H.A.N.G.E. Model for giving negative feedback, the importance of emotion, as well as logic, when giving negative feedback and an approach for delivering feedback in a way that keeps the discussion focused and under your control. Nobody likes to fail. Nobody likes to see their people fail. And no enlightened manager would ever set up their employees to fail, right? Well, not quite. Research shows that in certain situations, you can help your employees succeed in the long run by putting them in situations where they’re almost sure to fail. In this Quick Take, you will learn the science behind the concept of 'productive failure' – why struggle and failure help people learn more quickly and retain what they’ve learned longer, why managers are often reluctant to let their people fail – even when they should; and when it’s appropriate to use 'productive failure' and when it’s not. Chances are at some point in your career you ran into an expert who struggled to teach others. They sped through difficult topics like they were a cinch. They used jargon learners didn’t understand. And, worst of all, they didn’t realize their audience was totally lost. Researchers call this phenomenon 'the curse of knowledge.' And it’s a big training and development challenge in all organizations, including yours. In this Quick Take you will learn why it's so hard for experts to share what they know, how to use the power of “near-peer” training to bridge the knowledge gap between experts and inexperienced learners and why near-peer training benefits everyone involved in training – experts, learners and the near-peers themselves. Companies spend about $1,000 per employee on training. But 80% of the time it doesn’t stick. That’s a staggering amount of money going down the drain. But, here’s the good news: You can take steps to reduce that waste -- and as a manager or supervisor, you’re in the best position to fix it. More good news: If you can master the techniques covered in this program, you’ll transform your results and propel your managerial career into overdrive. In this Quick Take, you’ll learn why most training fails … and what you can do to make it succeed. However, the solution we describe will only work if you take action – and that’s the challenge. Few employees like getting performance evaluations. The process often feels rigid, judgmental and de-humanizing. Most managers, of course, are obligated to give annual performance evaluations, and many would tell you it’s the thing they hate most about their job. Fortunately, there’s a better way that eases the pain for both managers and employees. In this Quick Take you will learn the Seek-First-to-Understand method for providing performance feedback, the #1 goal of performance feedback, and the most frequently overlooked stage in traditional performance appraisal processes. What’s the best way to introduce a potentially disruptive change? Should you announce the change and immediately implement it? Announce the change and delay the implementation? Or Announce the change and gradually phase it in? In this Quick Take, you will learn a proven way to introduce and implement disruptive change, why this method will maximize employee buy-in, and the psychology behind people’s acceptance of change. In this Quick Take you will learn why the 'illusion of transparency' can not only undermine effective communication with your team but also your credibility. You'll discover why people misjudge their effectiveness as communicators, and how to make sure that you and your team are on the same page. How is it that two people can walk away from the same conversation with a completely different understanding of what was said? The reason is that we too often hear what we want to hear and assign our personal expectations and meaning to conversation. Fortunately, there’s a way to avoid this kind of frustrating – and sometimes costly - miscommunication. In this Quick Take you will learn the #1 reason miscommunication occurs between managers and employees, and the FACE Method – a simple approach you can use to gain clarity with your employees and colleagues. A lot of people love playing a leadership role until … the day comes when there’s a problem in the organization and somebody needs to sit down with an employee and have a really difficult conversation – say, for example, he or she has terrible body odor that coworkers complain about. You don’t want to do it. You’re looking up and down the ranks to find someone else who’ll break the news. But guess what? They’re all looking at YOU. This Quick Take will give you a template you can apply whenever you have to confront an employee about a performance problem, the use of foul language, inappropriate physical contact, excessive use of perfume, unconscious rude behavior, or a host of other problems. Good people resist change for lots of reasons. Perhaps they’re comfortable with the way things are. Perhaps they feel threatened. Perhaps they think the new way won’t work. As a leader, how do you respond? If you try to 'sell' change, your people will feel, well, sold. And if you simply demand change, you get reluctant participation at best. 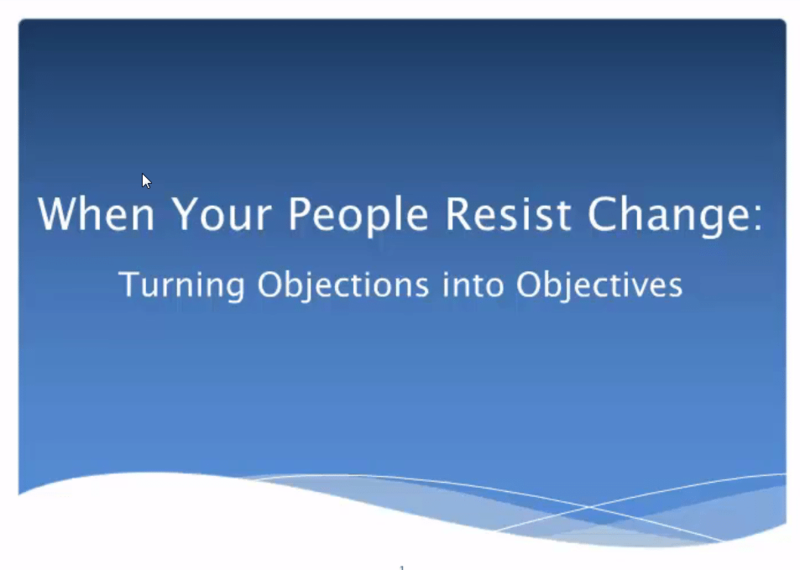 In this Quick Take, you will learn how to deal with employee objections and win buy-in without being dictatorial or argumentative, why efforts to 'counter' objections often backfire, why an objection is something to be embraced, and a three-step method to disarm resistance instead of escalating it. Rumors happen when employee anxiety collides with an information vacuum. If you don’t fill the vacuum with facts, your people will fill it with rumors. In this Quick Take you will learn the role managers play in spreading or defeating rumors, why rumors are a symptom of a larger problem – and why you must fix that problem to keep rumors at bay, two critical ingredients that feed the rumor mill, how to effectively address a rumor that’s already out there, and how to turn rumor mongers into TRUTH mongers. Every organization has its superstars. They are often the most valuable members of your team – and often times they know it. You love the results they deliver but their 'prima donna' attitude can be a serious disruption to everyone around them. Fortunately there is a way to keep them in check. In this Quick take you will learn a common response to a disruptive star performer – which fails miserably every time, an often-overlooked fact about stars that gives you far more power than you might think, and the S.T.O.P. Model for getting disruptive tigers to change bad behavior without driving them away – or turning them into pussycats. Leading people is always challenging, even when a company is stable and profitable. But leading in a crisis is exceptionally difficult and requires great skill. When times are tough you absolutely need your people to be focused, engaged and committed to helping you pull through. But that’s no simple task when morale is down and retention a real concern. In this Quick Take you will learn the single most important leadership strategy in a crisis, which will give you the credibility to lead effectively, a key insight into the psychology of your employees that will help you motivate and retain them and a managerial roadmap for engaging employees in a time of crisis. Managers get paid to make difficult decisions – about hiring, firing, promotions, salaries, resource deployment, operations, new products, new markets and more. A decision-maker’s worst enemy is lack of information or inaccurate information. In this Quick Take you will learn the Five Whys technique that can help you quickly get the information you need to make fact-based decisions, what it means to have a 'threaded conversation', and how the Five Whys can make you a better manager. When facing a really tough problem, you need your people to bring 100% of their brainpower to bear. In those make-or-break moments, fuzzy thinking can be disastrous. People grasp at simple solutions. They don’t consider unintended consequences. They fall back on what feels familiar, even when it hasn’t worked in the past. They focus on the wrong issues. In this Quick Take, you will learn why high-stakes problems inhibit the mind’s ability to come up with solutions, how managers may inadvertently hamper creativity and problem-solving, and what you can do to maximize your employees’ innate problem-solving potential. Avoiding the ‘Transaction Trap’: When do Financial Incentives Work – and When Can They Backfire? Bob was recently promoted to his first management job. He inherited a small problem from his predecessor. If he doesn’t address it quickly, it could turn into a big one. Some people are showing up late for work. But Bob wants to send a message that punctuality is important and expected. If you were Bob, how would you get your people to show up on time? 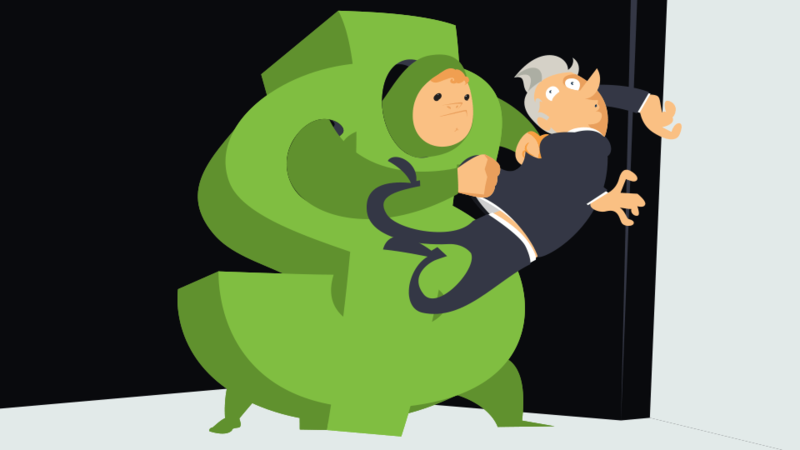 In this Quick Take, you will learn how the 'transaction trap' can derail your efforts to improve results, why incentives and disincentives often backfire, and the difference between 'market interactions' and 'social interactions' – and how to know when to use each one. What inspires employees to show up every day and give their all? Good pay and benefits? That helps but it’s not enough. Most people want more than to show up, collect a paycheck and go home. They want their work to make a difference. Yet research shows that most employees don’t feel a sense of higher purpose. So what can you, as a manager, do to help? In this Quick Take you will learn the key element that gives work a sense of purpose – no matter what kind of work it is, why it’s so important to create 'lines of sight' between employees and the people who benefit from their work, and clear, actionable steps you can take to create these lines of sight for your employees. The saying goes that numbers drive the business. That may be true, but what drive the numbers? The answer, of course, is the people. But what drives your people? In this Quick Take, you will learn the most powerful driver of results in your organization, the meaning of 'validation' and why it’s key to employee engagement, the single type of validation that has the biggest impact on employees and the I.C.U. Model for giving effective employee recognition. Imagine yourself deeply immersed in an activity you love. That activity might involve tedious work, but it doesn’t seem tedious. On the contrary, it's so enjoyable that hours fly by like minutes. How much more motivated and productive would your employees be if they felt that way about their jobs? What if they simply loved coming to work and were so fully 'engaged' in what they do that they gave 'discretionary effort' to every task. 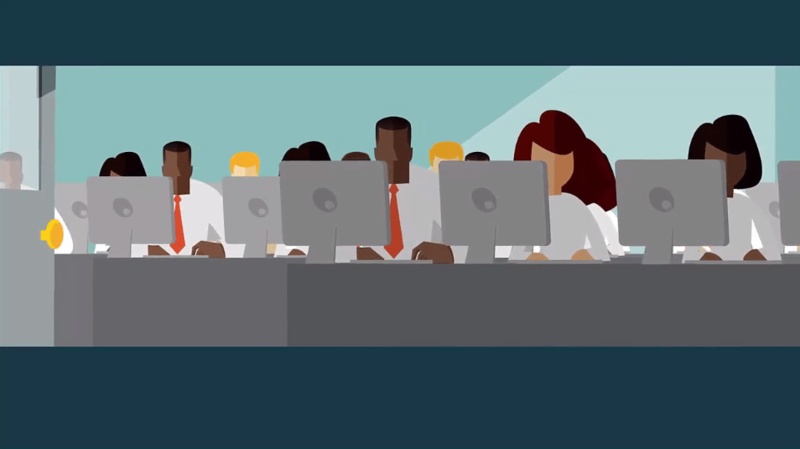 In this Quick Take you will learn what it takes to earn this level of employee engagement, how engagement affects the bottom line, and how to combat three destructive narratives that cause employees to disengage. 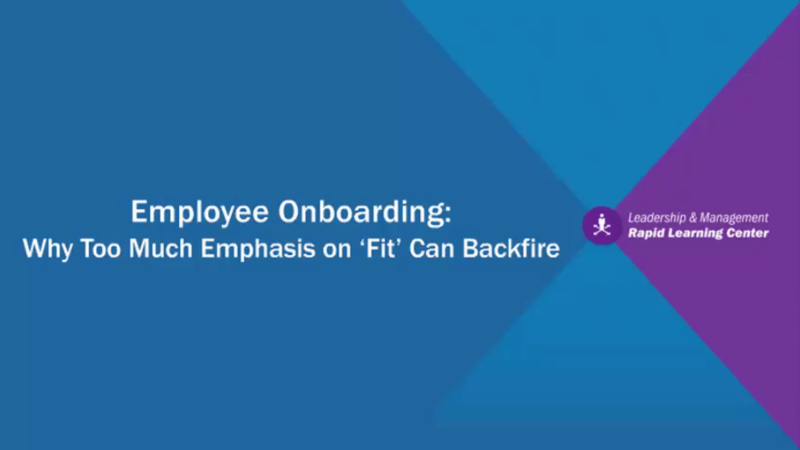 In this Quick Take, you will learn why traditional employee orientations that emphasize 'fit' can backfire, what recent research says about successful onboarding and how to create an orientation experience that can boost employee retention and job performance. When it comes to onboarding, the best leaders know that sink-or-swim -- the all-too-common default option at many organizations -- is a sloppy, lazy way to get new employees up to speed. In this Quick Take, you will learn a better way. You’ll discover that making people feel comfortable and welcome is NOT your most important goal as an onboarder, and the results of a new research study that shows the optimal way to design a new employee’s first assignment. We all attempt to explain our company culture to new hires. We use words like 'high-energy' and 'fast-paced' in job descriptions, interviews and new-hire orientations. But culture is intangible. It’s hard to convey values, unwritten rules and behavioral norms. As a result, some managers simply throw new hires into the deep end and let them figure it out. But that's a recipe for disaster. So what do good bosses do? They very carefully manage the process of onboarding new employees. 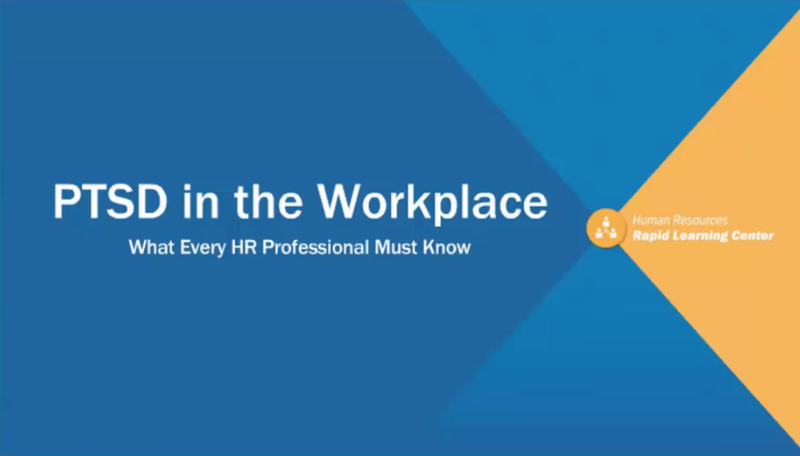 In this Quick Take you will learn why it’s not enough merely to explain your culture to new hires, why a 'sink-or-swim' approach to new hires almost always fails, and how to proactively create 'teachable onboarding moments' that will help new hires 'get' what it takes to succeed in your organization. Research shows that high-performing teams and low-performing teams differ on one important dimension: How they handle mistakes. In this Quick Take, you’ll learn how to cultivate a team environment that gets mistakes out in the open where they can be dealt with, and why it’s important to celebrate mistakes and the people who point them out. Discussion about salary is one of the most emotionally charged topics in the workplace. Why, because people often equate their self worth and value with the size of their raise. When they don’t get what they think they deserve, they walk away thinking, 'Why doesn’t the company love me anymore.' In this Quick Take you’ll learn: Why the size of the raise isn’t what causes drama in salary reviews. Why the real problem is the manager, not the employee. 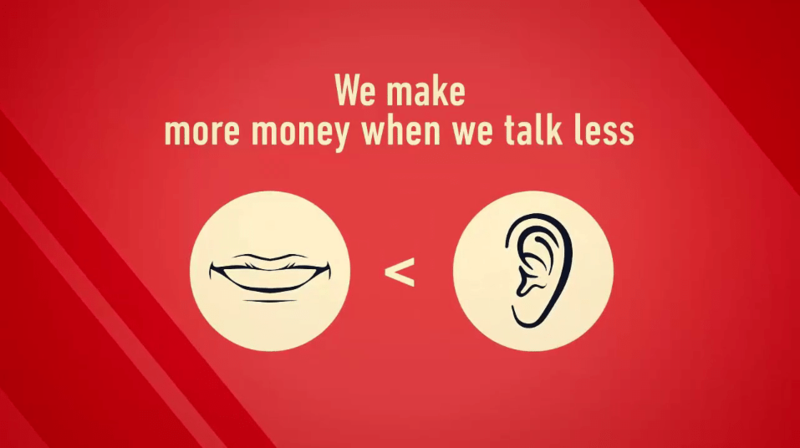 And, a technique you can use to communicate more effectively when it comes to money. If delegation were simply about passing our work on to others, everyone would be great at it. But delegation is more complicated than it looks – and getting it right is so critical. In this Quick Take you will learn why delegation is key to advancement for a leader, what the Multiplier Effect is and why it’s the Holy Grail of delegation, the Four Fatal Flaws that sabotage delegation, and finally, how to avoid the Abdication Trap. Empowerment and Accountability: How Much Rope Should You Give Your People? Should you let people manage their own projects, or should you ride hard on them? Research suggests that the answer is 'both.' When you create external accountabilities for your people, they’re more likely to succeed. In this Quick Take, you will learn what behavioral research has to say about deadline-setting and deadline missing, why people often fail to meet deadlines they set for themselves, and how the research applies more broadly to issues of employee empowerment and accountability. NOTE: This program has been reviewed by an employment law attorney. However, the publisher is not engaged in rendering legal advice or services. Should additional clarification be needed on any of this content, please seek the assistance of your Human Resources department or the person responsible for employment law compliance in your organization. Think of a time when you were swamped at work. Too many deadlines. Too many people demanding your mind-share. Not enough time or resources to get it all done. You may be thinking, 'That’s how I always feel.' Fortunately, there are steps you can take to prevent such workplace stress from crushing your focus, productivity and morale. In this Quick Take, you will learn the results of a study on people working in one of the most high-stress workplaces you could imagine, and how a series of short, simple exercises resulted in a surprising boost in productivity and kept stress at bay. Has your boss, or maybe even a colleague, ever said, 'You need to manage your time a little better'? If so, that’s code for, 'You’re not getting things done.' And it’s not a minor problem. It’s a game changer, one that affects your promotability, your salary potential and, possibly, the likelihood that your company will keep you around. In this Quick Take you will learn why employees in organizations are perceived as being good, or bad, at managing their time; the list that matters more than any other; and the #1 enemy of good time management. Every experienced manager knows how easily the workday can slip away. Employees pop in throughout the day looking for your help. Meetings run twice as long as planned. Unexpected fires need to be put out. Before you know it, the day is over and you haven’t accomplished what you set out to do. In this Quick Take you will learn the most important thing you own... and that you must never allow ANYONE to take away, the three words that are the most likely to steal that precious thing from you and a simple yet powerful tool that will help you to truly take charge of your time. 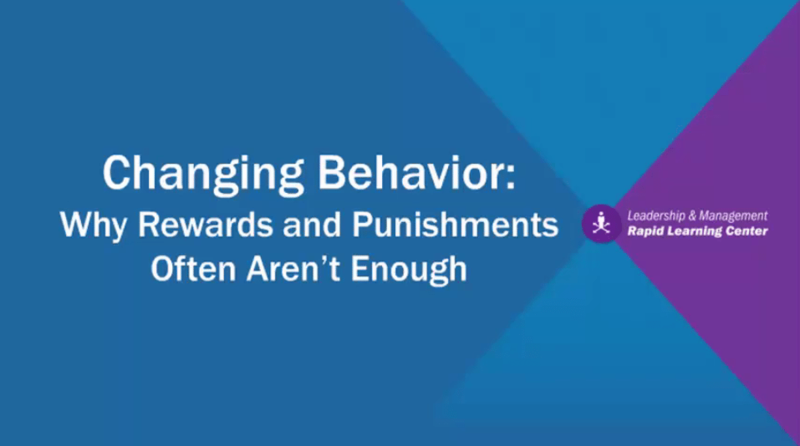 In this Quick Take, you will learn why carrots and sticks are often the wrong approach to changing behavior, an often-overlooked driver of change that can be more effective than rewards or punishment and two questions you should always ask before you try to change anyone’s behavior. 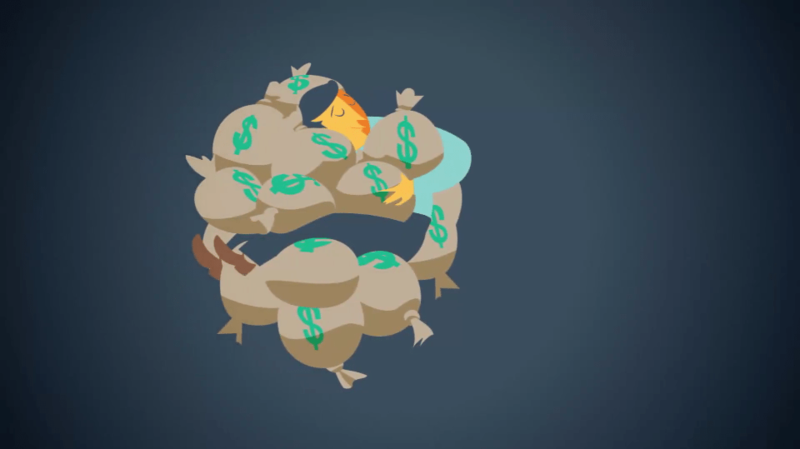 In this Quick Take, we’re going to tell you the one thing you MUST do to make sure your nonmonetary rewards bring the results you expect. This is simple, but 90% of managers don’t bother to do it. You can start doing it immediately. Experts tell us that we should deliver praise to our employees as often as possible. Recognition is one of the most powerful tools available to improve productivity, moral and loyalty. But giving praise isn’t as simple as it seems. Delivering it the wrong way at the wrong time can actually serve to de-motivate workers. In this Quick Take you will learn: 1) Examples of situations where 'praise' isn’t about praising at all, 2) An especially dangerous misuse of praise that could erode your credibility as a manager and, 3) The secret to ensuring that praise delivers the motivational message you intend it to. Have you ever hired someone who seemed like a star in the interview but ended up being a dud on the job? If so, you’re not alone. According to multiple research studies, traditional interview questions often fail to reveal whether a candidate will succeed in your organization. But a recent study found one type of question that is especially predictive of an employee’s future success. In this Quick Take you will learn what a major study of job interviews discovered about why traditional interview questions so often fail to predict future performance, why 'situational interview' questions far outperformed all others in the study, and how to create and use these questions, based on the specific job you need to fill. Managers check references for many reasons. But the most critical goal is to ferret out information that will accurately predict how a candidate will perform if hired. In this Quick Take you will learn the often-overlooked goal of a successful reference check, what researchers say is one of the biggest obstacles to getting truthful answers and why the way you phrase questions is the key to getting the information you need to make an informed hiring decision. He looked so good on paper. But a year later he hasn’t lived up to his potential. Yes, he’s smart and talented. But when he encounters obstacles, he throws up his hands. In this Quick Take, you will learn why talent, credentials and past accomplishments don’t always predict on-the-job success; two key indicators you should look for in every job candidate’s resume or work history; and a hiring approach that can help identify candidates with the grit to get the job done. We’ve all interviewed people for key positions and come away thinking, 'This candidate is perfect.' And we’ve all had the experience where we looked back after hiring a 'perfect candidate' and asked, 'What was I thinking? What did I miss? How could I have prevented such a mistake?' In this Quick Take, you will learn: A communications model called 'Deep Conversations', how to use this model to 'peel the onion' and achieve deep levels of communication that will help you foolproof your hiring decisions, and why this technique works both for people who are concealing information, and those who simply lack self-awareness. There’s a huge difference between making a good hire and making a great hire. A good hire is one that places a qualified candidate into the position you need to fill today. It meets your organization’s immediate need. A great hire, on the other hand, meets both short and long term needs – for your organization as well as your new hire. The question is, how do you make that happen. In this Quick Take, you’ll learn the real reason top performers accept jobs, the 'reality check' technique for gaining alignment between your goals and the candidate’s, and why long-term goal alignment protects you from the costliest mistake you can make in the hiring process. Why is hiring the right people so hard? Because many job candidates are remarkably good at persuading us that they can do things they can’t. What’s more, we often don’t realize how our emotions and personal biases can affect our choices. In this Quick Take you will learn: The most dangerous attitude a hiring manager can possibly bring to an interview, the preparation oversight that gives Impostors an opening, and two proven questioning techniques that will expose Impostors every time. As any manager knows, communication is the fuel that makes teams go. And today it’s easier than ever for team members to keep in touch. 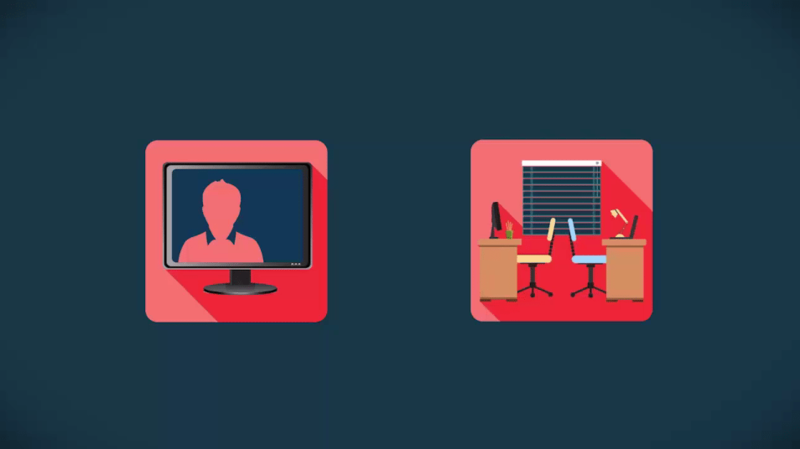 Tools like email, instant messaging, texts and conference calls allow employees to efficiently share information with their colleagues anytime, anywhere in seconds. In this Quick Take you will learn the number one factor that drives team productivity, why it has such a profound effect and how you can boost team performance by creating more opportunities for random encounters. In this Quick Take you will learn the phenomenon psychologists call 'social loafing', why performance can dip when people become part of a team and how you can overcome 'social loafing' and build effective teams. The #1 rule in brainstorming sessions is no judgments. Everyone knows that if you let team members criticize each other's ideas, you’ll discourage people from putting forward new concepts – and you may not get the best answer to whatever problem you need to solve. In this Quick Take, you’ll learn why traditional brainstorming techniques are actually counterproductive, an improved technique for brainstorming that DOES work, and how to prime people to generate problem-solving ideas. What do managers often do when projects start falling behind deadline? They ask for more resources. Adding a few more good people to the project seems a logical solution to the problem. In some cases, however, that’s not the best course of action. In fact, it could make things worse. 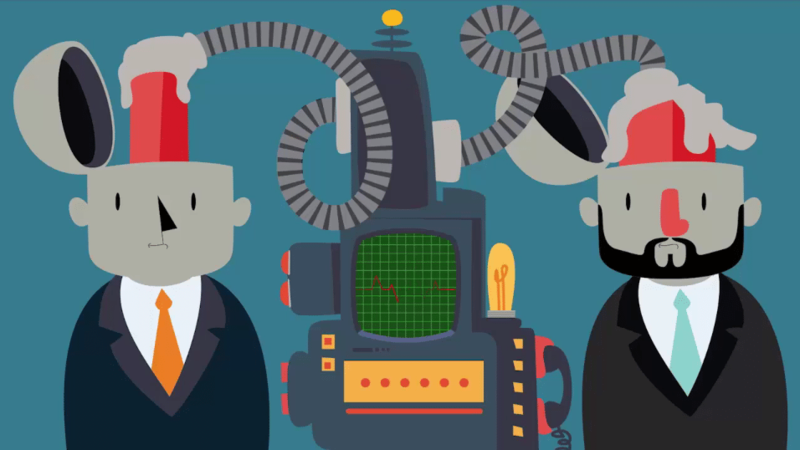 In this Quick Take you’ll learn about 'Brooks Law' and what it means to team productivity. You’ll find out what his landmark research revealed and how you can apply it in your organization. Conflict is absolutely essential to a well-functioning team. When getting along is more important than getting it right, hard questions don’t get asked. Tough decisions don’t get made. The challenge for managers is keeping productive conflict from turning into a disruptive force that can crush morale and team alignment. In this Quick Take you will learn why conflict is a powerful tool that team leaders must use to their advantage, what’s going on under the surface when disagreements become toxic, and the ACES method of conflict resolution – a straightforward approach that can turn destructive conflict into constructive solutions. Most managers and supervisors realize that employees have the legal right to take FMLA Intermittent leave. And, more often than not, they’re sympathetic to the employee’s situation. At the same time, team leaders have to produce results -- and that can be challenging when workers can’t make it in. So how can managers and supervisors reduce disruption when a well-intentioned employee must take intermittent leave. In this Quick Take, you’ll learn three ways to manage intermittent FMLA leave – without interfering with employees’ rights. Most workers play by the rules when it comes to FMLA. But there are some who take unfair advantage of FMLA and sooner or later you’ll have to deal with them. 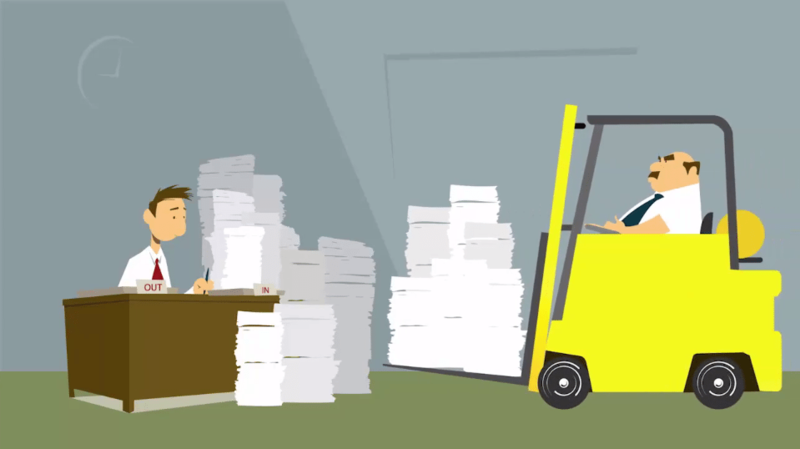 In this Quick Take, you’ll learn the #1 mistake that will get you sued over employee abuse of FMLA intermittent leave, the three rules you must know to legally deal with intermittent leave abuse, and how to handle employees who try to game the system. USERRA places demands on your organization that go beyond other forms of leave, such as FMLA leave or short-term disability. 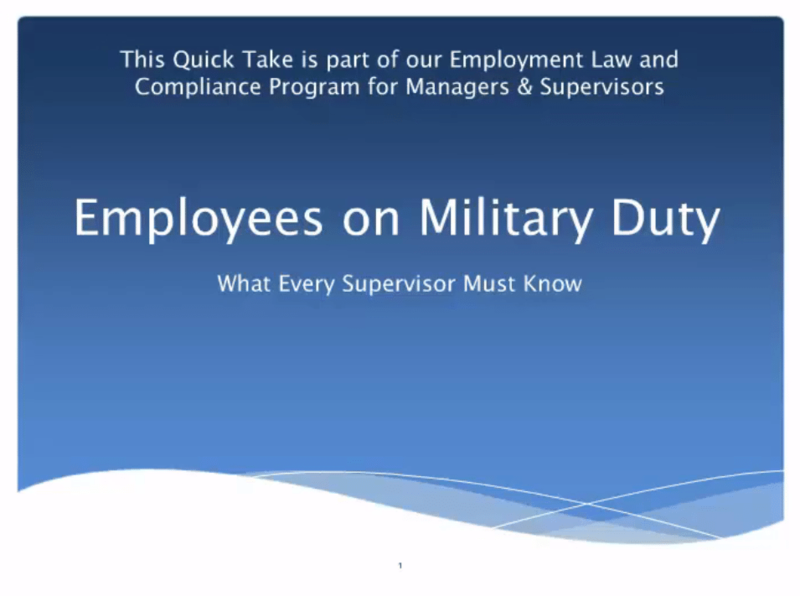 In this Quick Take, you will learn what USERRA requires that you do when people with military obligations apply for jobs, what it requires you to do for current employees with military obligations, and what’s required when employees return to work from military service. You’ll also learn what you can require of employees with. How should supervisors respond when an employee shows signs of mental illness at work? It’s a delicate situation that needs to be handled exactly right. Follow these guidelines to help ensure that you do what’s best for the employee, for the organization and for co-workers. Most managers know about the ADA and understand that they must try to accommodate workers who have disabilities. But the ADA is complex and loaded with rules that managers and supervisors need to understand. In this Quick Take you will learn the definition of a disability; what the 'interactive process' is; why employees don’t have to specifically ask for an 'accommodation'; what you should know to determine whether you need to engage in an 'interactive Process' and the three things you must ALWAYS do once you’ve determined that an employee has made an accommodation request. Most people in the workplace know you can’t discriminate against employees just because they’re disabled. Certainly supervisors are aware of this. But what a lot of people don’t know is that disability law extends its protection to employees who aren’t disabled, but have relatives or friends who are. The ADA calls this 'association discrimination'. In this Quick Take, you’ll learn: how to recognize situations that involve disability association discrimination; what you have to do in such situations and what you don’t have to do; and how disability association differs from ordinary employee disability. The ADA protects employees who are disabled because they are 1) alcoholics; 2) recovering alcoholics; or 3) recovering drug addicts. The law prohibits employers from discriminating against employees based on such disabilities. But generally speaking, the law DOESN’T stop an employer from disciplining or even terminating these employees for misconduct or poor performance. In this Quick Take you will learn how anti-discrimination law applies to employees who are disabled because of substance abuse problems, what you can and cannot do in applying performance standards to such disabled employees, and the most important insight to keep in mind to help you handle issues involving employees and substance abuse. It’s true that the ADA protects employees from discrimination. This means that you can’t treat employees who are disabled – or who you regard as disabled – different than other employees. Yes, the ADA requires that you make 'reasonable accommodation' whenever possible, but it does NOT excuse performance deficiencies. In this Quick Take, you’ll learn the most important thing to remember when evaluating employees with disabilities, what reasonable accommodation is and how it affects the evaluation process and three things you DON’T have to do when reviewing workers protected by the ADA. The Limits of Religious Expression at Work: When Should Supervisors Step in? Employees have the right to express their religious beliefs (or lack-thereof) at work, but at what point does it cross the line of faithful religious practice into harassment? In this Quick Take you’ll learn four kinds of common religious expression in the workplace that you should generally tolerate, three situations when you have a right to limit or prohibit employees’ religious expression, and a quick test to help you tell the difference between acceptable and unacceptable religious expression. Did you know discrimination lawsuits have risen 268% over the past 15 years? That’s 9 times faster than any other type of employee lawsuit. In this presentation, we provide a roadmap to the Self-Check Technique for unconscious bias. You will learn why unconscious bias is the leading cause of discrimination lawsuits and what you can do to prevent them. As a hiring manager you need to dig to learn all you can about a candidate. Unfortunately, the more you learn about a person, the higher your risk of provoking a discrimination lawsuit. When you DON’T know a candidate is pregnant, a recovering alcoholic, or a member of some other protected class, it would be hard for someone to claim that you asked discriminatory interview questions. So how do you learn what you need to know about a potential hire without exposing yourself to legal risk? In this Quick Take you will learn: The 'Bias-Free Questioning Model'; what questions in job interviews could cause a lawsuit in The Big Six areas of discrimination (Disability, Age, Gender, National Origin, Race and Religion); and why job descriptions are key to reducing your legal exposure in the hiring process..
What should you do if employees complain that one of their coworker’s is hard to communicate with because of a heavy accent or poor English skills? What if customers also complain? Can you simply fire the employee? In this Quick Take, you’ll learn what you can legally expect of employees in the way of language ability and fluency, the two main traps that lead to illegal discrimination based on language and how to tell when a language issue needs attention, and when it doesn’t. Work and family issues can put supervisors in a tough spot. They have to balance what’s best for their employees, what’s best for the organization and what’s fair to other employees. They also have to consider the law – because work-and-family issues can lead to legal claims and lawsuits alleging 'family responsibilities discrimination' -- or FRD. In this Quick Take, you’ll learn what supervisors must do – and must not do -- when workers have care-giving responsibilities at home and three false assumptions about family responsibilities that can get supervisors in legal trouble. The Pregnancy Discrimination Act of 1978 requires that 'women affected by pregnancy, childbirth, or related medical conditions shall be treated the same for all employment related purposes … as other persons not so affected but similar in their ability or inability to work.' In this Quick Take, you’ll learn what the law means by 'equal treatment' for pregnant workers and applicants; a handy rule of thumb to make sure you don’t discriminate against a pregnant employee or job applicant, and four common legal pitfalls that you may face with pregnant employees and applicants. With today’s workforce becoming increasingly diverse and multi-lingual, employers are faced with a question: 'Can we, or should we, establish an English-only rule?' It’s a complex question because it encompasses so many issues, including customer relations, workforce communication, safety, morale and the law. In this Quick Take you will learn what questions to ask before establishing a policy, two traps you can fall into when enforcing English-only rules, the one way you can be sure an English-only rule is legal, and four examples of legally permissible English-only rules. An older worker’s physical condition MIGHT prevent him or her from doing certain jobs. But you must make that call based on an assessment of the worker’s ACTUAL condition and abilities. When managers and supervisors stereotype or make assumptions about what older workers can and can’t do, they expose the organization to avoidable legal risk. In this Quick Take, you’ll learn the intent behind federal age discrimination law, the four main ways managers violate the age discrimination law, and a question that will help you avoid breaking the law. Of all the conversations you have in the workplace, discussions about religion are among the most challenging. Yet you must have those discussions when an employee asks you to accommodate his or her religious beliefs. In this Quick Take, you will learn how even well-intentioned managers can make hiring and promotion decisions that expose them to liability for religious discrimination, what the law requires when an employee asks for a religious accommodation, a critical error that can land you in court when you get such requests and four rules that can help you respond to these requests correctly. Whether you’re a line manager or an HR person, you’ll probably get a phone call one day from a prospective employer asking about a current or former employee. But don’t worry: There are ways to respond to reference requests that are truthful, yet protect you, your company and the employee. In this Quick Take, you’ll learn how to avoid lawsuits – for defamation or negligent referral – connected with employee references. Specifically, you’ll learn how to prepare for a phone call requesting references, what to say – and especially not say – on the call, and what to do after the call. Employee privacy rights often come down to one key phrase: 'reasonable expectation of privacy.' But what exactly does that mean and do you translate that ambiguous standard into a meaningful policy for your organization. In this Quick Take, you’ll learn what 'reasonable expectation of privacy' means, and why it’s so important, five common ways supervisors may violate employee privacy, and three guidelines to help you stay on the right side of the law.. Most supervisors can recognize cases of blatant sexual harassment – where, for instance, an employee makes a crude or threatening advance. Or where an employee touches another in a way that’s clearly out of bounds. But what about those less obvious cases? In this Quick Take you will learn the difference between 'quid pro quo' and 'hostile environment' sexual harassment. Why sexual harassment doesn’t need to target a specific person. How 'victimless' sexual banter can trigger lawsuits. Why actions that are completely non-sexual in nature can be construed as sexual harassment and the 'reasonable person' standard for determining what is, and isn’t, sexual harassment. Is workplace violence really a problem you need to worry about? You bet it is – even if you consider your workplace to be friendly and safe. According to OSHA, nearly 2 million American workers report that they’ve been victims of violence at work. But what can you actually do to prevent workplace violence. Can managers and supervisors predict when a given employee is likely to turn violent? After all, you can’t call the police every time an employee looks at you the wrong way. In this Quick Take, you’ll learn seven signs that an employee may be at risk of engaging in workplace violence, and how to respond to them using the concept of 'graduated response' in tandem with your organization’s policies. Managers and supervisors play a critical role in handling employee complaints and preventing legal action. Why? Because very often they’re the first point of contact when a complaint is filed. This Quick Take will show them how to play that role correctly. Viewers will learn: A three-step model for conducting interviews with employees who come to them with complaints and three common mistakes managers make when handling complaints. Retaliation has a specific meaning under the law. It’s an 'adverse action' against anyone who has engaged in 'protected activity' – for example, making a discrimination complaint or filing a workers comp claim. In this Quick Take, you’ll learn what retaliation is (and isn’t); why even conscientious, fair supervisors may be at risk for creating a retaliation claim; four common mistakes that can get you accused of retaliation; and how to avoid these mistakes. No smart supervisor wants to squelch harmless jokes that burn off tension and build camaraderie. But sometimes – often before people realize it -- jokes can turn mean, or jokesters overdo it, or somebody thinks it’s funny to put a co-worker down. When that happens, supervisors need to apply the brakes – firmly. 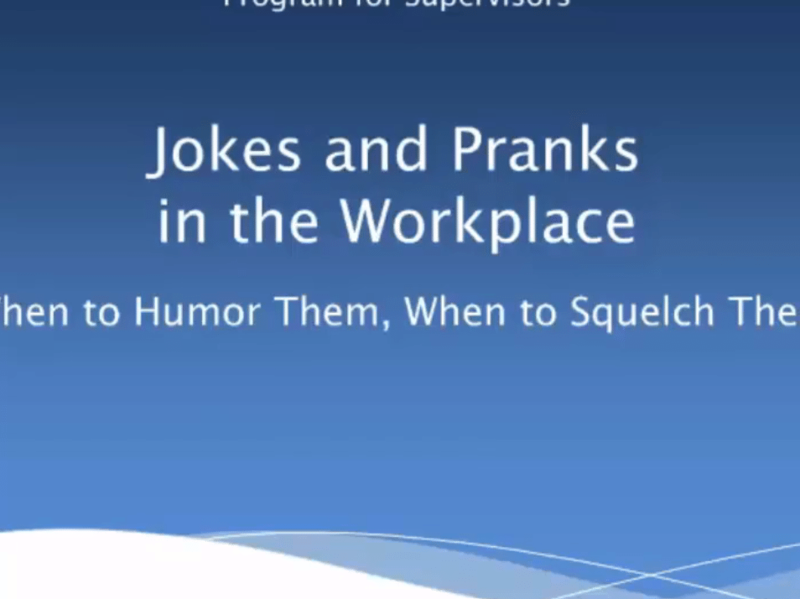 In this Quick Take, you’ll learn the two hidden reasons why humor can be so damaging, three ways employees can cause trouble with misguided humor and three steps supervisors can take to minimize the risks of off-target workplace humor. The rise of social media brings new responsibilities for employers and employees alike. It’s a great way to keep in touch and share your thoughts and feelings. But it also makes it easy for employees to slip up in ways that can harm their employer, their own reputation and even their jobs. This Quick Take offers common-sense guidance on the use of social media that will keep employees out of trouble without shutting them down. On the surface, terminating an employee for poor performance seems like a no-brainer. It’s nothing personal. The worker just isn’t getting it done and would be better off in another job. But even when a termination is 100% justifiable, managers must be extremely careful how they conduct themselves. Terminations, no matter how clear cut, are legal minefields. In this Quick Take you’ll learn the #1 managerial oversight that gives terminated employees traction in a lawsuit, the most common mistake supervisors make during the actual termination conversation, the main reason terminated employees sue and a blueprint for terminating employees in a way vastly reducing the likelihood you’ll get sued.. When insubordinate or troublesome employees push you too far, it’s tempting to fire them on the spot. But acting rashly can get you into a world of legal trouble. Employees fired abruptly are far more likely to sue than those who are given warning. This Quick Take will help you avoid the traps that surround 'knee-jerk' terminations. You’ll learn: When you should, and shouldn’t, fire an insubordinate employee on the spot, the one thing NOT to do when terminating an insubordinate employee, and three termination guidelines that lower your risk. The EEOC has put employers on notice: You can’t have a blanket policy against hiring people with criminal records. Likewise, you can’t have a policy that automatically dismisses any employee who’s convicted of a crime while working for you. Convictions have to be analyzed in a more sophisticated, individualized way. In this Quick Take, you will learn what the EEOC says about blanket policies on criminal records, three questions to ask about applicants’ criminal convictions, what you must always do when rejecting an applicant because of a previous conviction and four suggestions for legitimately using criminal records in the application process. Every HR pro knows that under federal law, you can’t discriminate against women by paying them less than men. That’s a key feature of Title Seven of the Civil Rights Act, which also bars discrimination based on things like race, national origin and religion. But there’s another law that comes into play specifically when the issue is men’s and women’s pay: The Equal Pay Act. 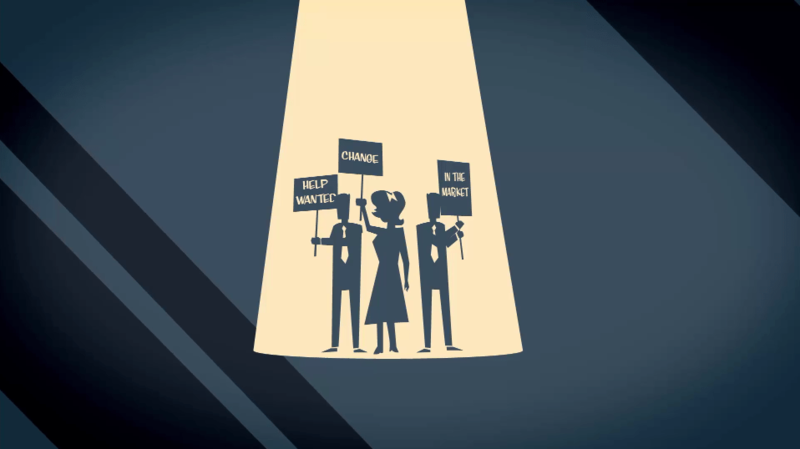 In this Quick Take, you’ll learn the most common misconception about equal pay, the five questions HR must ask in balancing men’s and women’s pay levels and what you can and can’t do to fix any pay inequalities. Genetic information discrimination isn’t something that comes up every day but it’s an issue HR professionals need to stay on top of. A growing number of organizations are finding themselves in court defending claims that protected genetic information was used in hiring, firing or promotion decisions. In this Quick Take, you’ll learn what genetic discrimination is, what the law says about when you can and can’t acquiring genetic information from applicants and employees, how to handle genetic information that is legally acquired, and three ways employers are likely to violate the law. You know how much HR contributes to the success of your organization. But many HR professionals have trouble getting this message through to their CEOs. 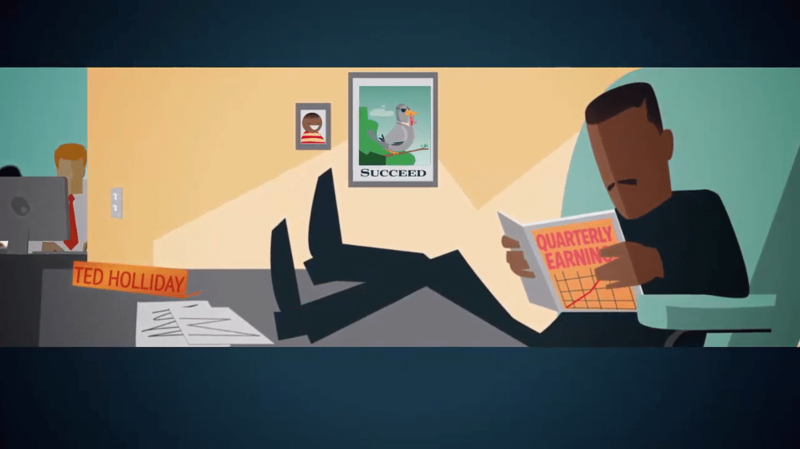 In this Quick Take, we’ll show you a proven approach to help you get the CEO’s attention and demonstrate the strategic value of HR. Complete, up-to-date, accurate job descriptions are an essential part of your lawsuit-avoidance toolkit. In this Quick Take, you’ll learn about the top five job description mistakes that can make any organization vulnerable to lawsuits and the four situations where job descriptions should always come into play. Eligible employees may take two kinds of military leave under the FMLA: military caregiver leave or qualifying exigency leave. Military FMLA works a lot like regular FMLA. But there’s just enough difference to throw you off if you’re not careful. In this Quick Take, you’ll learn two key ways that military FMLA leave differs from regular FMLA, how to comply with the law on FMLA military caregiver leave, how to comply with the law on FMLA qualifying exigency leave and steps you can take to verify eligibility when employees ask for such leave. Suppose a supervisor comes to you about an employee who’s scared co-workers with an unexpected outburst of anger. Or an employee who seems to be sinking into withdrawal, compromising her ability to function in her team. Would it occur to you that these people might be suffering from post-traumatic stress disorder? 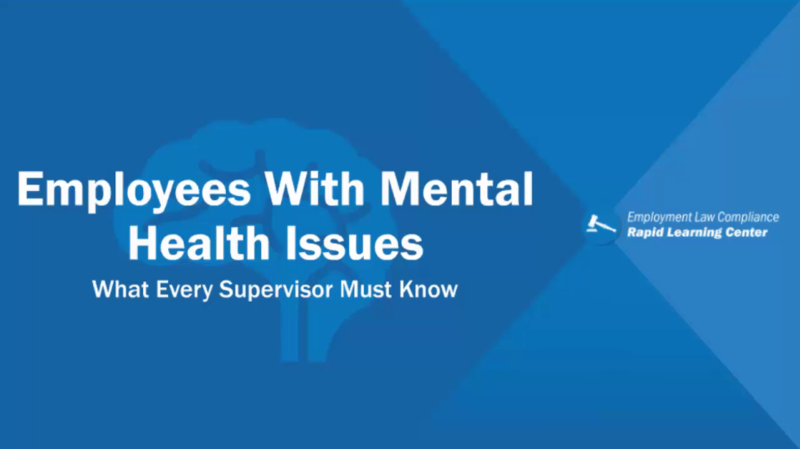 In this Quick Take, you will learn myths and misconceptions about PTSD, what PTSD really is and why it happens, how to recognize signs that one of your employees may have PTSD, and accommodations you can make to help employees with PTSD. Handling workers returning from FMLA leave can be a challenge to even the most seasoned HR professional. Why? Because it often involves three aspects of employment law: FMLA, ADA and state workers compensation. In this Quick Take, you’ll learn how the three kinds of law intertwine, and how to disentangle them so you can make good decisions. Who Gets Overtime and Who Doesn’t? Determining who’s exempt and who’s not isn’t always a simple matter. FLSA regulations are full of “gray zones” that can trip up even the most experienced managers. In this Quick Take you will learn: The most common mistakes that HR professionals make when classifying employees, why the title 'manager' is often misleading, and how to avoid the 'salary-basis trap'. Workers who are home recovering from an injury have a lot of time to sit, think, and brood over their health issues. That makes them susceptible to the siren's call of a workers comp lawyer. And when lawyers get involved, payouts and insurance premiums go up. In this Quick Take, we’ll look at four claims management techniques that HR managers can use to keep lawyers out of the picture and keep workers comp costs under control. Most employees are honest about work-related injuries. But there are always the troublesome few who try to game the system and take a vacation at your expense. According to some estimates, up to a quarter of workers comp claims contain some element of dishonesty. In this Quick Take, you’ll learn six warning signs of possible workers comp fraud, how to ask questions that can uncover bogus claims, and what to do – and what NOT to do – if your investigation turns up evidence of fraud.